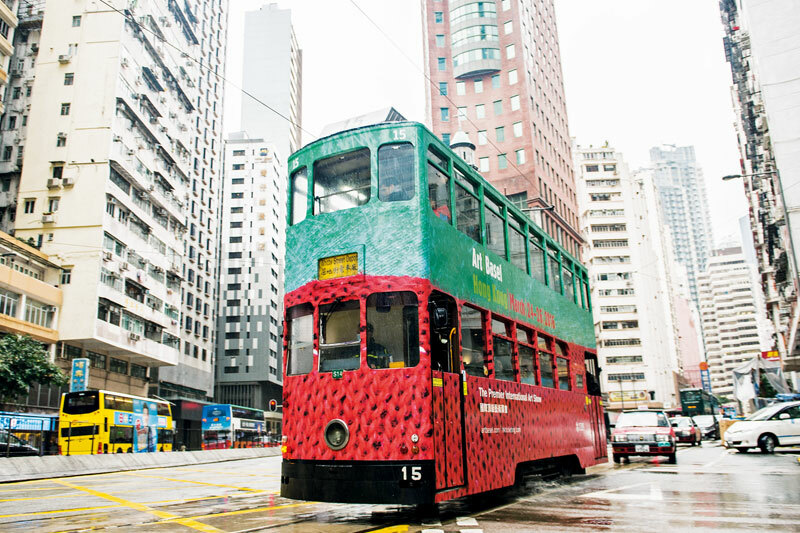 Commuters in Hong Kong this March may find themselves on a public tram that’s been converted into an art space. Artist Kingsley Ng’s Twenty-Five Minutes Older’ exhibit turns two of Hong Kong’s iconic public trams into a dark room concept of camera obscure. Once on board, passengers view images of passing street life displayed inside the tram alongside texts from Liu Yichang’s famous story, Tete Beche. The exhibit is one of many from the Hong Kong Art Basel fair, as galleries, artists, collectors and art enthusiasts from Asia and the world congregate in the prestigious international art event. 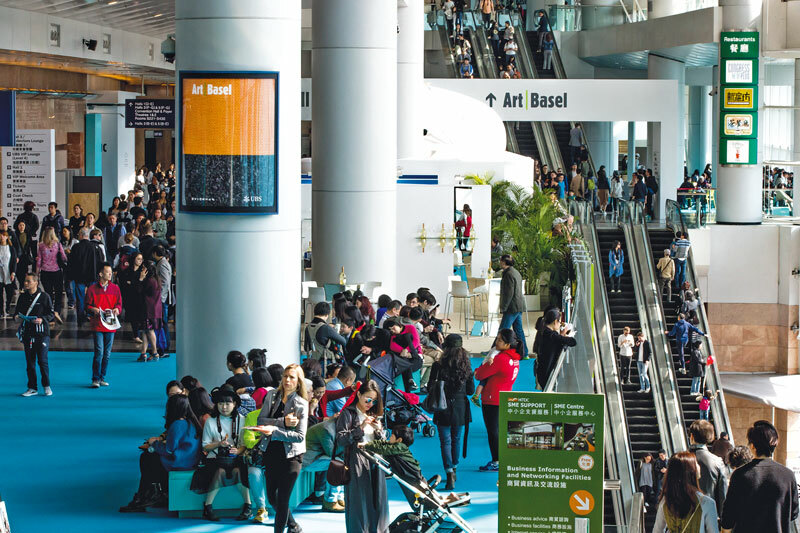 Art Basel in Asia features some of the world’s leading modern and contemporary art galleries showcasing paintings, sculptures and digital art such was videos by more than 4,000 artists at the Hong Kong Convention and Exhibition Centre. The fair goes from March 23 to March 25, 2017. The scope of Art Basel features some 250 galleries in 6 show sectors. Determined art enthusiasts navigate the fair’s sectors through categories such as Discoveries (emerging artists) and Encounters (large-scale works). The 2017 Hong Kong edition, the fifth in the city, for the first time includes Kabinett, in which galleries organise mini-exhibitions within their own booths, whether solo or group shows or presentations focused on art history. Art Basel’s widely acclaimed Encounters sector showcases 17 projects by internationally renowned artists. 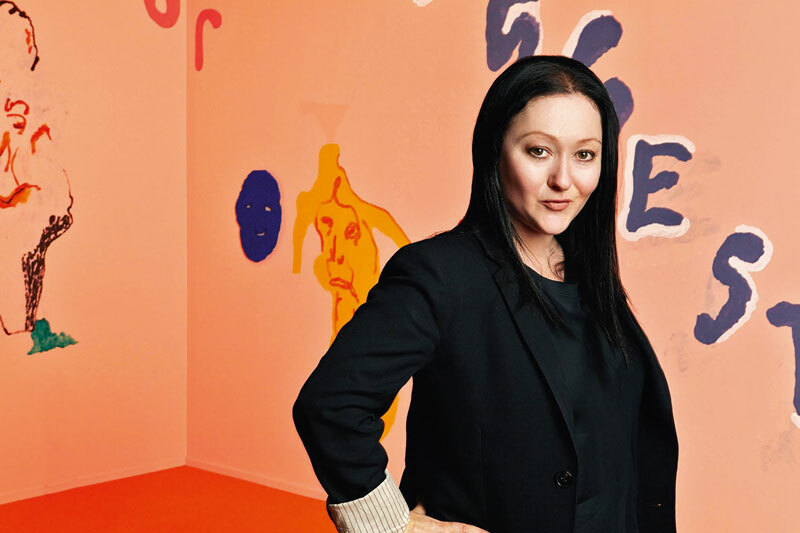 Curated by Alexie Glass-Kantor, Executive Director of Artspace in Sydney, the 2017 edition has works by notable artists like Pio Abad, Rasheed Araeen, Katharina Grosse, Gonkar Gyatso, Joyce Ho, Hu Qingyan, Bingyi, Waqas Khan, Kimsooja, Alicja Kwade, Dinh Q. Lê, Li Jinghu, Sanné Mestrom, Michael Parekowhai, Shen Shaomin, Rirkrit Tiravanija and Wang Wei. Another sector, Insights, brings works of of galleries and their artists from the broader Asian market, with final sectors being Magazines, with art publications from around the world and Film, a 3-day programme done by and about artists. The pre-eminent Gagosian Gallery will present German artist Katharina Grosse’s series of six new sculptures cast in aluminium and intricately spray-painted in vivid hues. Edouard Malingue Gallery’s debut ‘Slipping Mural 2’ (2017) by Chinese artist Wang Wei. The floor-based installation uses images from a Beijing zoo and an idyllic beach framed by a palm tree, birds and clouds, exploring the return to nature in its most basic form and reflecting upon the nature of reality.